Farmers’ markets have been popping up in big cities and small towns all over the U.S. in recent years and even become local tourist spots that are trendy and hip. These are great places to support your local farmers and buy more fresh produce in a fun and engaging way. 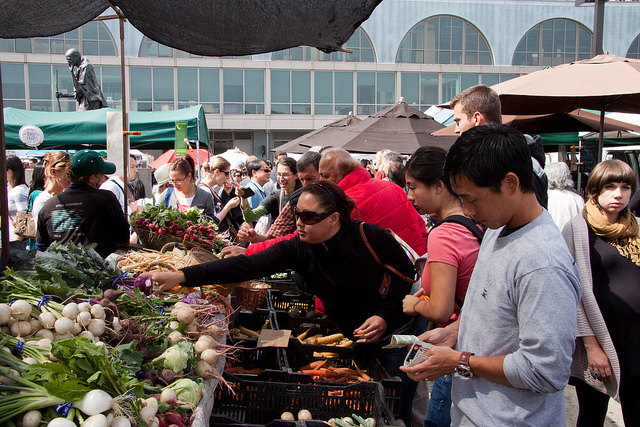 But many people find themselves shocked at how much they have spent at the end of a farmers’ market visit. After all, it’s easy to get caught up in all of the non-produce offerings, pre-made food, and entertainment too. So, here are some tips for shopping at your local farmers’ market this year without emptying your wallet. One of the best ways to save money at the farmers’ market is to shop only for in-season produce, rather than the unique specialty items that tend to be pricier. Also, foods that are early or late in their seasons are usually more expensive compared to their peak seasons. For example, carrots are in peak season in the fall, and pomegranates are at their peak in winter. You can ask the farmers directly about what’s in season right now or try using the Locavore app to find in-season foods near you. What often makes fruits and vegetables so visually appealing is genetic engineering. But when you shop at a farmers’ market instead of the big-box supermarket, you can choose organic foods that haven’t been ruined with pesticides and chemicals used to make them pretty. Many fruits and vegetables that have minor cosmetic damages, like bruises or an asymmetrical shape, are discounted in price but are just as delicious and healthy. Choose these foods for lower prices and to prevent unnecessary food waste. As with any shopping endeavor, it’s a smart idea to set a budget for your trip to the farmers’ market before you even leave the house. 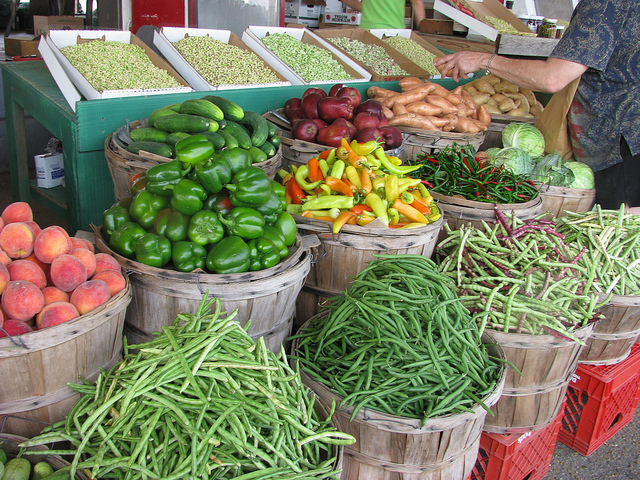 Many farmers’ market stands only accept cash, so cash is a good way to go for this type of shopping. Take only the amount of cash that you are willing to part with and no more. This way, you’ll stick to your budget and maximize that money to get as much fresh and healthy produce as possible. Many people plan to arrive at the farmers’ market right when it opens to get their pick to produce with plenty of selection. But if you’re trying to stick to your budget, show up for the market’s last hour of operation instead. At the end of the day, farmers are often more likely to want to get rid of their supply so they don’t have to lug it back home or risk it going bad. Chances are that your average commercial grocery store clerk can’t tell you much about where the store’s produce came from or how it’s grown. However, farmers and their families are often the ones working behind the stalls and would be pleased to have a conversation with you about their passion for growing food. If you develop a relationship with farmers whose stands you visit frequently, you may even be in a better position to barter or get a bulk discount down the road.